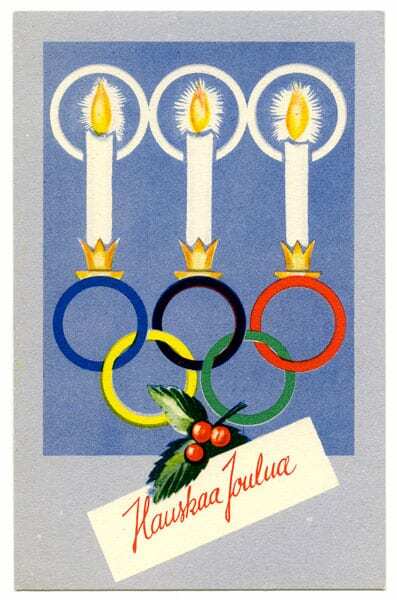 Description: Three candles supported by the Olympic rings. Below a green leaf with three red berries and the text: HAUSKAA JOULUA! [Merry Christmas!]. The address side is light-shaded and features the Olympic rings and the text: OSA MYYNTITULOISTA OLYMPIAMIESTEMME VALMENNUKSEEN [Part of the sales proceeds go to the training of our Olympic men].